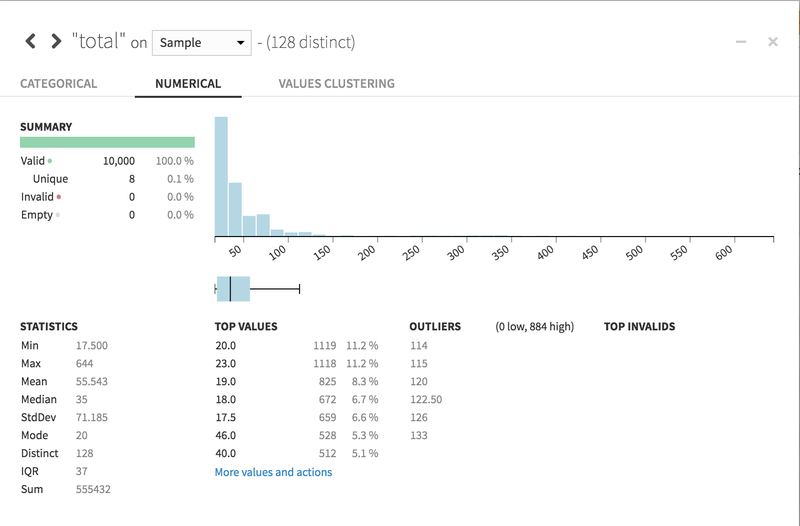 In the Explore tab of your dataset, you can do some exploratory analysis by clicking on a column and choosing Analyze from the dropdown menu. In both cases, the default analysis is based on your Design Sample. Choose Whole data from the dropdown menu to base the analysis on the entire dataset.